Richmond Hill’s Ward 3 Councillor Castro Liu has made a habit of avoiding Council meetings where critical votes are set to take place. It’s time for Castro Liu to be open to his residents on where he stands on the issues. Many residents who were present at Richmond Hill’s town council meeting late last year on December 11th 2018 noticed that Ward 3 Councillor Castro Liu was absent from the meeting. The significance of this meeting was that a vote was set to take place about the Town’s Downtown Secondary Plan. Instead the vote was postponed to the New Year in early 2019. This result angered many town residents who believe that Richmond Hill is already behind its neighboring towns and cities when it comes to urban planning and infrastructure. Councillor Liu then avoided another critical vote regarding the fate of controversial Ward 5 councillor Karen Cilevitz. Instead of voting for or against the motion which was set in place to suspend Cilevitz’ pay for a period of 90 days, Liu chose to skip the meeting altogether. Eventually, the present council members voted unanimously in favour of the motion to suspend councillor Cilevitz for bullying. The fact that Councillor Castro Liu had run unopposed in the 2018 municipal election for the position of Ward 3 councillor does not mean that he cannot partake in a healthy debate. It is the obligation of any politician, including Councillor Liu, in a democratic system to effectively represent the residents who is accountable to. He has the right to his own opinion and to vote accordingly, and his vote should be based on his social conscience and the interest for a better future for Richmond Hill. Any part of Richmond Hill is a part of town of Richmond Hill and Ward 3 is not an isolated island. We are one town, and we have to fight for the future of a modern town. Trip of 4 Canadian MPs ( 3 Liberal and One Conservative ) alongside two Senators ( one Liberal and One Conservative) on Jan 5 , 2019 to China amid of political tensions rising between Canada and China is a big mistake by Primer Justin Trudeau and Conservative leader Andrew Shceer . The pre schedule trip of Canadian politicians giving wrong response to China. Timing of the trips shadow on PM Justin Trudeau and Her Foreign minster , Chrystia Freeland , claim on priority of Human Rights for the government. The trip is not at the best interest of Canada. While I support dialogue with governments but we can not leave our fellow Canadian citizens behind or scarifies our interest for economic or political benefit at the international crisis. The authorization of the trip of back bencher politicians with little diplomatic experience to by PM Justin Trudeau was a big mistake , too. These politician not only will not be taken serious in Beijing but showing the weakness of Canada foreign policy . Richmond Hill Liberal MP could stay out of this trip to show respect for all 13 Canadian detainees in China . MP Jowhari could should think twice as Canadians before be a foot solder for Liberal party to respect Canadian Liberal democratic values and Human RIGHTS. Ghana’s ruling New Patriotic Party (NPP) was on Tuesday forced to apologize for an attack on a female journalist at its headquarters in the capital, Accra. A party sympathizer, one Hajia Fati, is reported to have slapped a female journalist who was covering a story at the NPP headquarters. The attacker admitted the incident but explained that the journalist did not look like a media person. She is said to have likened the journalist to an onion seller who she mistook for an ally of an embattled party official who had been barred from contesting in internal elections. The Multimedia group, Ghana’s biggest media outfit, along with other channels threatened the party with coverage boycott over the incident. It is said that the threat forced the NPP’s apology issued on Tuesday. It read in part: “The NPP has noted with concern an alleged attack by one of its supporters, Hajia Fati. We distance ourselves from the act and condemn it unreservedly. “The party wishes to assure Ghanaian journalists that, it cherishes the role of the media as partners in development and does not condone any action intended to suppress press freedom. “No journalist should feel intimidated and must continue to discharge his/her duties without fear. Though the New Patriotic Party has already began an internal inquiry into the alleged incident, we will also cooperate with other agencies investigating same,” the statement signed by acting General Secretary John Boadu read. Ghana was Africa’s best performing nation in the area of press freedom according to the latest report of media rights group, Reporters Without Borders (RSF). Incidents of assault on journalists is however not uncommon. General elections were held in December 2016 without major incidents or media freedom violations. Ghana is regarded as one of the most democratic countries in Africa and Chapter 12 of its 1992 constitution guarantees media pluralism and independence. But only a very small number of media outlets provide good news coverage. A third of the media are owned by the state or by businessmen linked to the government. Friends of a journalist who investigated Russian mercenaries fighting in Syria have expressed their suspicion over his mysterious death. Maksim Borodin gained a reputation for exposes and it has been suggested his latest reporting may have led to his death. 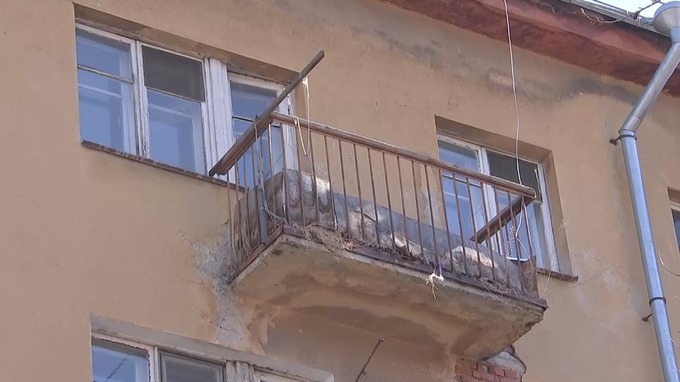 Borodin died on April 14 from injuries sustained in a fall from his five-storey balcony in Yekaterinburg, eastern Russia. 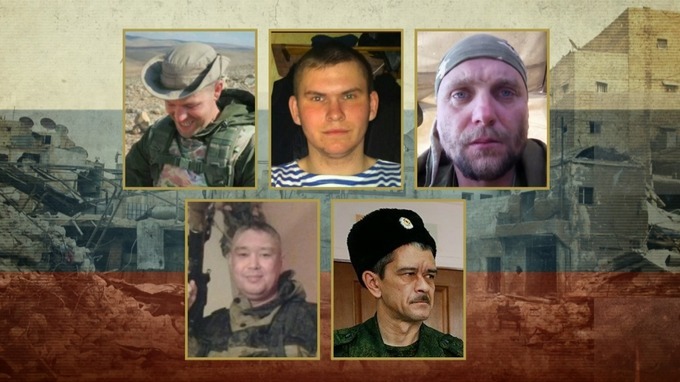 The 32-year-old had reported on the death of Russian mercenaries working for the private firm Wagner in Syria. They had been killed in US airstrikes in February 2018. He published information on those involved for the news service Novy Den. His death has been ruled as suicide, but questions remain after there were no eyewitnesses and an autopsy report show no trace of alcohol or drugs in his system. A friend told ITV News that he received a phone call from Borodin the evening before his death. 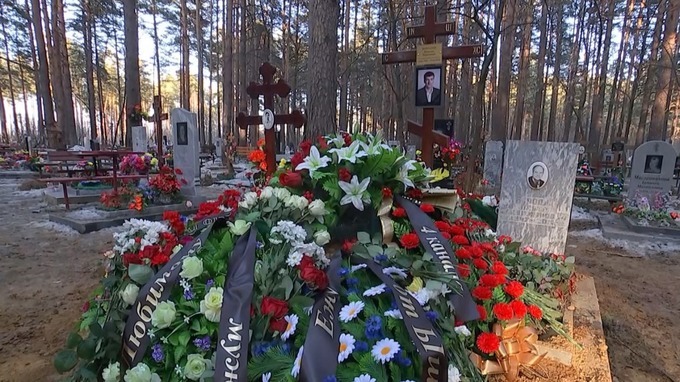 It would not be the first violent death of a journalist in Vladimir Putin’s Russia. 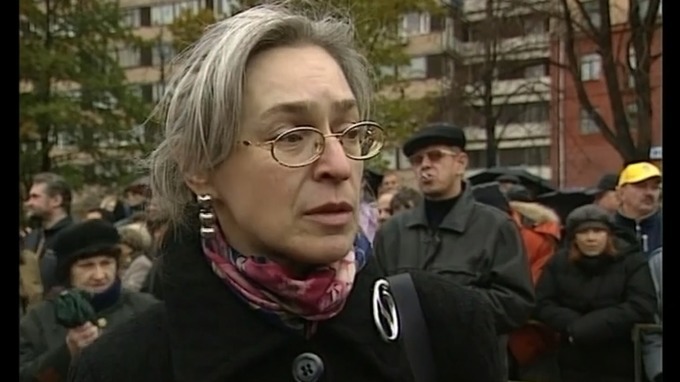 ITV News spoke to the son of Russian journalist Anna Politkovskaya who was shot dead in central Moscow in 2006. Demonstrations followed the murder of Anna Politkovskaya – but her son believes nothing has changed. She was a critic of the President and opposed the Chechen conflict. On Wednesday, the German government called for an investigation into the journalist’s death. More than 500 parliamentarians from France, Germany and the UK have written to their US counterparts urging them to persuade Donald Trump not to abandon the Iran nuclear deal. In a joint statement published in the Guardian, Der Spiegel, the New York Times and Le Monde, they urged a White House rethink before the 12 May deadline set by Trump to pull out of the deal, known as the joint comprehensive plan of action (JCPOA), unless Europe can come up with a new policy that will meet his concerns. “The US government threatens to abandon the JCPOA, although Iran fulfils its obligations under the agreement,” the letter said. They warn that “an exit from the US would have fatal consequences”. France, Germany and the UK negotiated the landmark deal in 2015 that lifted sanctions on Iran in exchange for strict limits on its nuclear programme, and are using all their leverage to try to persuade Trump that the deal is salvageable. “The short-term impact of this move would put an end to Iran’s nuclear programme controls, which could provide a new source of devastating conflict in the Middle East and beyond,” it said. But it said even more serious were the long-term risks: damage to the credibility of the signatories as partners in international negotiations and more generally to diplomacy as a tool to secure lasting peace and security. “Leaving the agreement would diminish the value of all the promises and threats our countries make,” the parliamentarians said. They added that if the deal broke down it would be nigh on impossible to assemble another grand coalition built around sanctions against Iran. 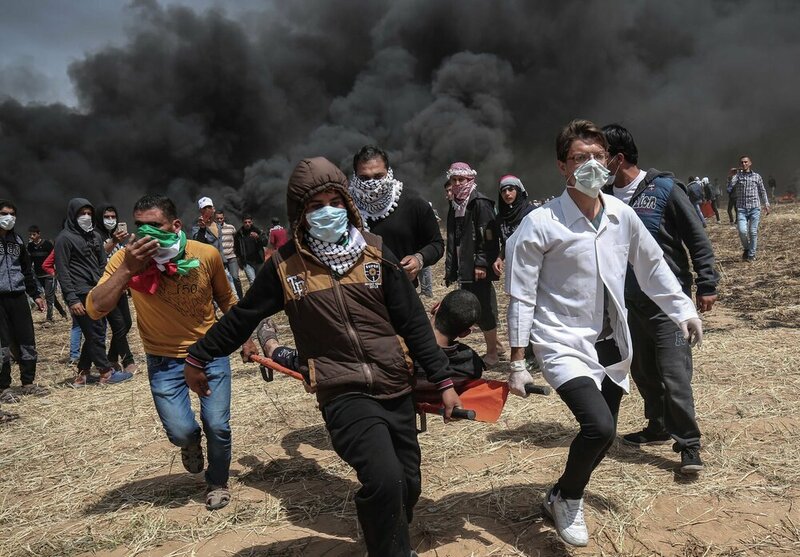 Palestinian health officials say eight Palestinian protesters were shot dead by Israeli fire at border demonstrations Friday, including a Palestinian photojournalist wearing a protective vest marked, “Press.” This caps a week of the largest demonstrations and worst violence that Gaza has seen in years. The Israeli army had no immediate comment on the deaths. Tthe total death toll from a week of protests is at least 29, according to Palestinian health officials. On Friday, thousands of Palestinians once again gathered to demonstrate near the border with Israel “for the right to return to lands in today’s Israel,” as NPR’s Daniel Estrin reported from the scene. An injured Palestinian protester is carried by fellow demonstrators during a protest east of Khan Yunis in Gaza. Palestinians say this is a peaceful demonstration. In a series of protest encampments, families fly kites and food trucks are parked to support the demonstration. Israel accuses the Hamas militant group, which controls Gaza, of trying to turn the border area into a combat zone. Daniel said he heard gunfire and saw tear gas in the area immediately next to the border. 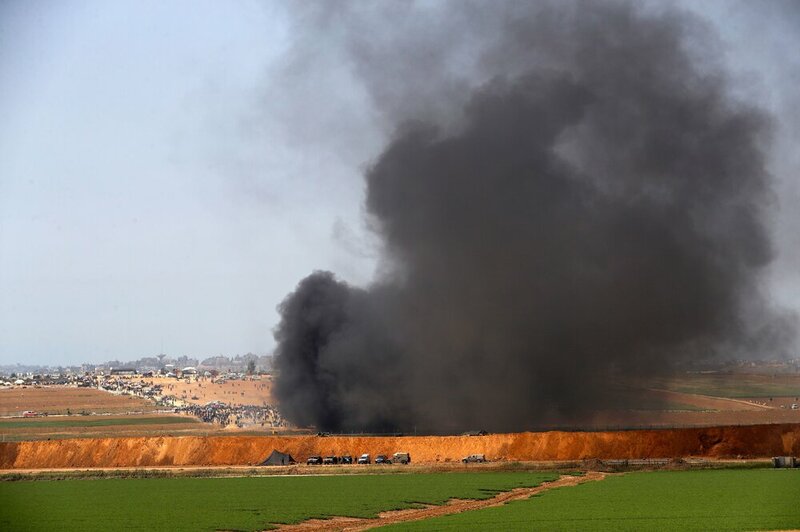 Black smoke billowed from the area, he said, as young Palestinians brought tires down to the border to burn. Some threw rocks at the soldiers. Palestinian demonstrators burned tires in order to create a smoke screen to block the view of Israel forces. “Palestinians are actually calling today the ‘Day of Tires,’ because they said they were going to burn tires to create a smokescreen so that Israeli soldiers on the other side of the border fence wouldn’t be able to see them,” Daniel added. 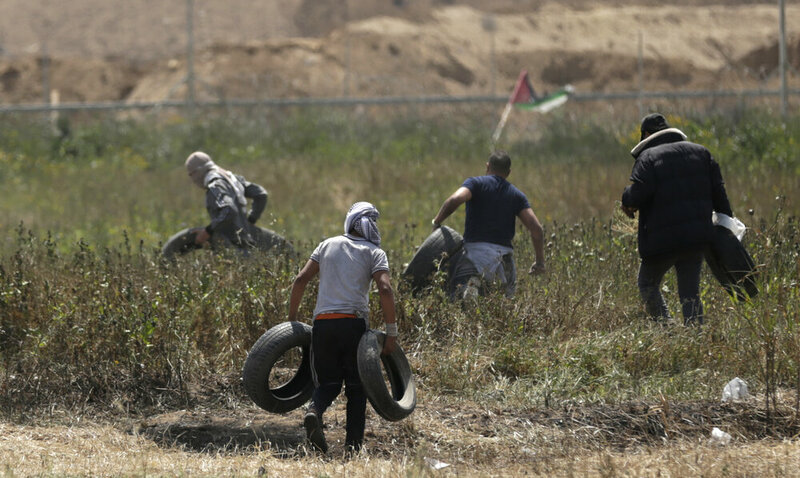 Palestinian youth brought tires close to the border to burn during Friday’s protests. Israel maintains it is simply protecting its border and its troops. It has released video that appears to show several Palestinians trying to break through the border fence. Rights groups have criticized Israel for disproportionate use of force against people who pose no immediate threat. Videos circulated on social media appear to show Israeli forces firing at Palestinians some distance away from the fence. 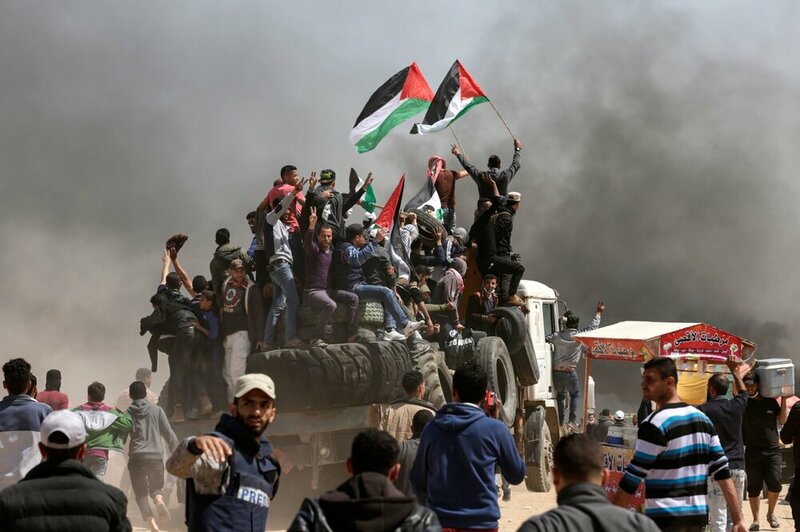 And while Hamas is vocally backing these demonstrations, which are intended to last six weeks, many Palestinians are participating because of the dismal living conditions in Gaza. The area has been under blockade by Israel and Egypt for a decade. Gazans get only a few hours of electricity every day and have extremely limited water. The unemployment rate is at more than 40 percent. 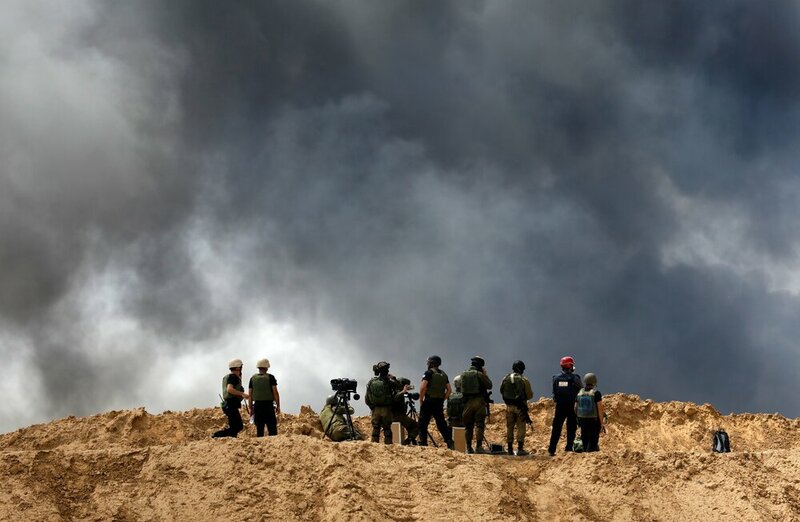 Israeli security forces deployed near the Israeli border with the southern Gaza Strip watch smoke rising from the Palestinian village of Khuzaa. Protest organizers are vowing to continue demonstrating for six weeks, until mid-May. Association of N. American (Canada_US ) Ethnic Journalists and writers condemn killing Palestinian Photo Journalist Yaser Murtaja by Israel Forces. We call on Netanyahu government to bring who killed the journalist before court of justice immediatley. A Palestinian journalist shot Friday during clashes between Palestinian protesters and Israeli forces at the Gaza-Israel border died of his wounds later Friday night. The journalist, Yaser Murtaja, can be seen in photos soon after he was shot wearing a protective jacket labeled “PRESS”. Four other journalists were injured by live fire during the demonstrations, one of them critically. About a month ago, Murtaja wrote on Facebook that he had never left Gaza, sharing an aerial photograph of the Gaza port. Thousands attended his funeral in the Strip. We at North American Ethnic Journalists and WRITERS CALL ON ISRAELI ARMY TO RESPECT JOURNALISTS WHO ARE COVERING THE EVENTS . Beirut, April 2, 2018 — Israeli authorities should independently and credibly investigate reports that Israeli security forces injured journalists covering protests in the Gaza Strip on March 30, 2018, the Committee to Protect Journalists said today. At least 10 Palestinian journalists were injured while covering mass protests on the Gaza border, according to the Palestinian Journalists Syndicate (PJS), the Palestinian press freedom group Palestinian Center for Development and Media Freedom (MADA), the regional press freedom group Center for Defending the Freedom of Journalists (CFJ), and news reports. Thousands of Palestinians joined the protest in Gaza Strip on March 30 against Israel’s refusal to allow Palestinian refugees to return to their pre-1948 homes, news reports said. At least 17 Palestinians have been killed and 1,400 injured in the protest. Freelance journalist Ahmed Salem Muammar was hit in his lower abdomen by a live round in an area east of the city of Khan Younis, according to MADA, the Palestinian Journalists Syndicate, and CFJ. Muammar told MADA that he was leaving the site of the demonstrations along with his colleague Hatem Omar, a photographer for the Xinhua News Agency, after having covered the protests when he was shot in his abdomen. “By chance I was very close to an ambulance that took me to Nasser Hospital. There were 14 shrapnel in my lower abdomen, I underwent a three-hour surgery, where 30 cm of intestine was removed, bleeding was controlled and I am still under observation in hospital,” he said, according to MADA’s website. Wisam Mousa, photographer for the Deir al-Balah-based local radio station Fursan al-Aradah, was hit by live rounds in both legs while he was covering the protests from afar at the refugee camp of Al-Bureij, according to MADA, the PJS, and his employer. “I was more than 400 meters away from the border fence, and while I was standing near the ambulances, I was deliberately targeted and shot with two live fire- bullets, one of which penetrated my right leg and came out of it, whereas, the other bullet penetrated my left leg causing a severe rupture in my leg muscle- just below the knee,” Mousa told MADA. Israeli Defense Forces did not immediately reply to CPJ’s email requesting comment. Hala al-Hassanat, reporter for the Gaza-based Nahar News Agency, told CPJ that she was covering the march at Al-Bureij refugee camp in the evening when Israeli soldiers began shooting at civilians. She ran away from the shooting and fell over a pile of stones, breaking her left leg. She was transferred for treatment to the Al-Aqsa Martyrs Hospital. Mahmoud Adnan Mdouj, a photographer for the media production company Media Town, was hit by a live round in his right leg, which was broken as a result, while he was covering the protest march behind the protesters, about 500 meters away from the border fence, according to MADA and pictures posted on Facebook by other Palestinian journalists. Ahmed Kafa, a photographer for the local news website Deir al-Balah Media, was injured in his right leg by a live round while he was covering the protests in eastern Khan Younis, according to the local press freedom group Journalist Support Committee, news reports, and his employer. Journalists Amina Dabash, reporter for the independent news agency Media Field Unit, Mohammed Joudeh, reporter for the Palestinian Authority’s official broadcaster Palestine TV, and freelance photographer Hussein Abu Khreis were hit directly in their legs by tear gas canisters in Al-Bureij, Rafah, and eastern Khan Younis, respectively, according to the PJS, news reports, and Facebook posts. Ali Yousef al-Adwy, reporter and cameraman for the local Lajee TV Channel, was hit by a bullet on his left leg, slightly below his knee, while he was covering the protests near the Gaza border with Israel, according to his employer, pictures of Al-Adwy posted on Facebook, and the CFJ. For his part, Loay Nahd al-Ghoul, a reporter for Palestine TV, inhaled tear gas while he was covering the protests in eastern Gaza, according to the PJS and a post on his Facebook account. NEW YORK, March 31, 2018 (WAFA) – Human Rights Watch (HRW) questioned on Friday Israel’s use of live ammunition against Palestinian civilians following the Israeli army shooting and killing 15 Palestinians and injuring over 1400 in one day on the Gaza border with Israel.